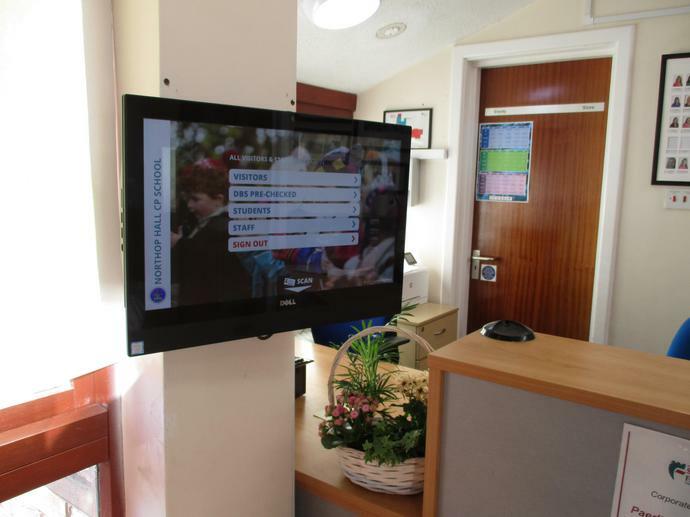 As we continue to develop and improve our communication, administration and school safeguarding and security processes, we are pleased to announce the installation our new electronic signing-in system in our Main Office area. This signing-in system will be used for all Staff and Visitors and also for pupils who arrive late to school and those leaving during the school day for appointments or illness. We would like to stress how important it is for your children to be on time for school each day as learning begins as soon as they get to their classroom. Foundation Phase pupils can come into their classrooms from 8.45am and KS2 pupils are welcome to play, supervised by school staff, on the KS2 playground also from 8.45am. The bell is rung at 8.55am and the doors closed soon after. Should you arrive late to school, after 8.55am, you are required to bring your children into school via the Main Office and then sign them in on the new system, which links directly to our school registration system. We hope this new system will create a smoother and quicker experience for everyone in school.